A doodle for "Earth Day" 2018. There are some gaping opportunities for inventive and entrepreneurial Bitcoiners to address the energy-use issues around bitcoin mining. Despite a few (noisy?) space heater/mining machine hybrid solutions out there already, there's definitely room for growth. The "bitcoin" (BTC + BCH + etc.) ecosystem, with its many moving parts and participants, is currently being integrated into the wider ecosystem of the global financial system. 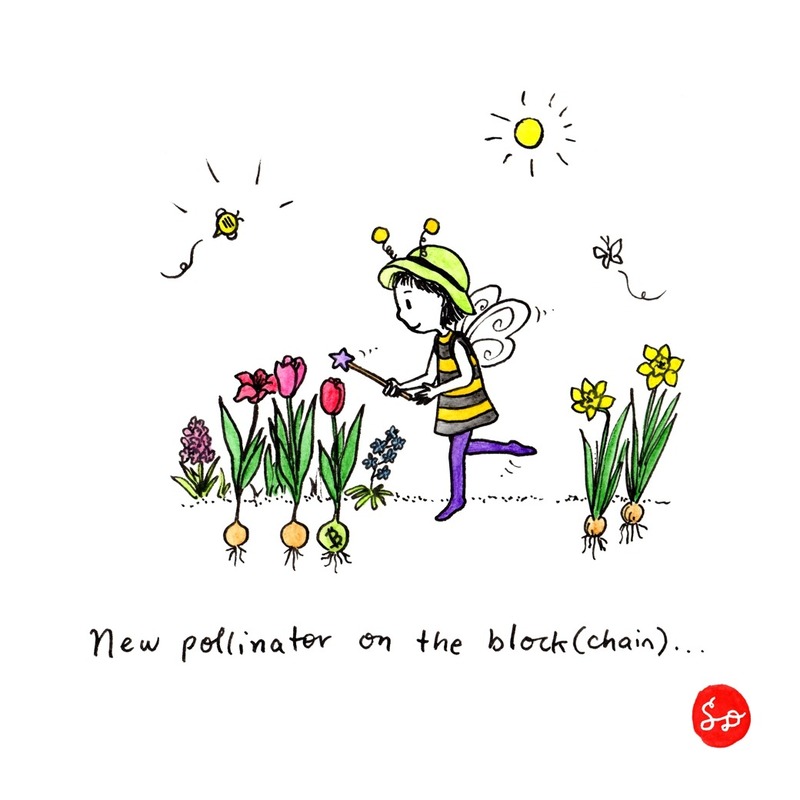 In the meantime, in honour of "Earth Day", we can also appreciate our pollinators. a fun podcast interview featuring Centbee CEO, Lorien Gamaroff (another early adopter of BTC who is now building for BCH). Some of the most interesting developments in bitcoin adoption in the coming year or two are likely to pollinate outside of the exclusive "first world" economies in North America and Europe.